Buzz4tours presents its Rome Routes & Tours just to give you the chance of picking the right one for your holidays. 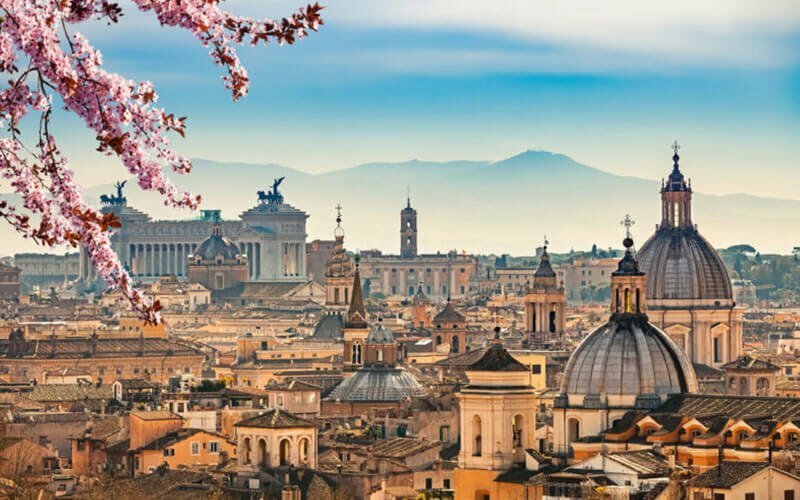 The Eternal City has so many attractions to offer its visitors, that we have decided to condense them into three different itineraries that would best feature the sheer beauty of this city and the major works of art that have made it so famous world over. The three itineraries go by fairly self-explanatory names: The Musts, Rome’s Treasures and Things Unusual. The first route comes tour, is ideal for those who visit for the first time or last came to Rome many years ago. It is for those of you who would like to enthuse over its iconic sites and make their visit one to remember. The second will take you to see the magic of Rome’s works of art that are usually accessed free, inside one of the city’s 900 odd churches. The third, complimenting the other two, will take you to places that feature in legends, often off the beaten tracks, a great provider of curiosities. The ideal tour for those who have dreamt about coming to Rome for a long time, they’ve imagined it, they’ve seen it from photos and now they hear to see it for real. The mystery of St.Angel’s Castle, Trastevere and its mosaic-vested Basilica and the fascinating Tiber Island will start you off on this tour, to then reach the “Indianapolis” of ancient times, the Circus Maximus. Dive back three millenniums going to the Roman Forum whilst picturing life in ancient Rome in your mind. You will next reach the Flavian Amphitheatre, the Colosseum if you prefer, the Pantheon, Piazza Navona and the Trevi Fountain of course. The audio-guides will talk you through the history and the details of the magnificent architecture. Feel quite literally embraced by the evocative colonnade of St.Peter’s Basilica, the hub of Christianity, yet another masterpiece by Gian Lorenzo Bernini that will alas take you to the end of this tour. As the title suggests, this itinerary brims with artistic treasures starting with the Caravaggios in the Cantarelli Chapel of St.Luis of the French. You will then marvel at the beauty of the four Papal Basilicas ever protagonists of the Jubilees in time: St Pauls out of the Walls, St. John in Lateran, the Basilica of the Holy Cross in Jerusalem, the Basilica of St.Mary Major and St. Mary of the Angels, these all hold an unprecedented spectacle inside. Frescos by the great Master, Bernini, can also be admired in St. Mary of the Victory. Let’s just say that art lovers will not be disappointed by this tour! Legend after curiosity, you will be taken to see strange statues, villas who hosted great artists, fountains built for love, all at the click of our iPads. There is nothing stopping you choosing a mix of the 3 tours but we feel each one caters for different tastes and all attempt to satisfy varied interests.